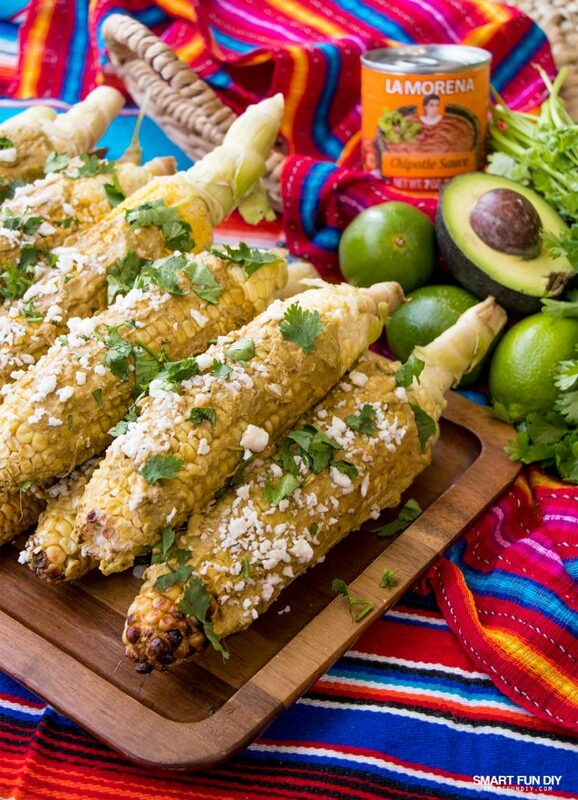 Grilled Avocado Chipotle Elotes Recipe .... without Mayo! 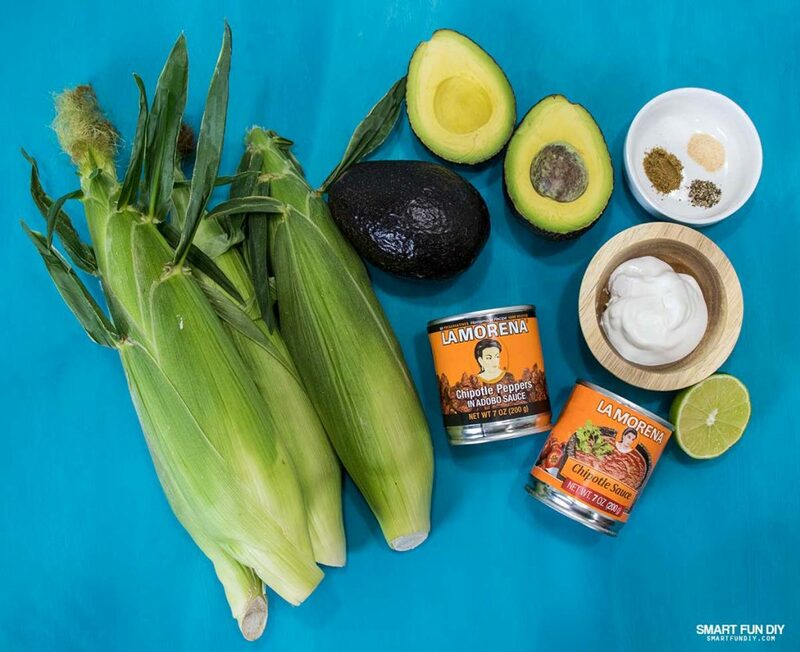 You are here: Home / Family + Culture / Grilled Avocado Chipotle Elotes Recipe …. without Mayo! Do you love elotes? I love elotes but I do not love the mayonnaise! 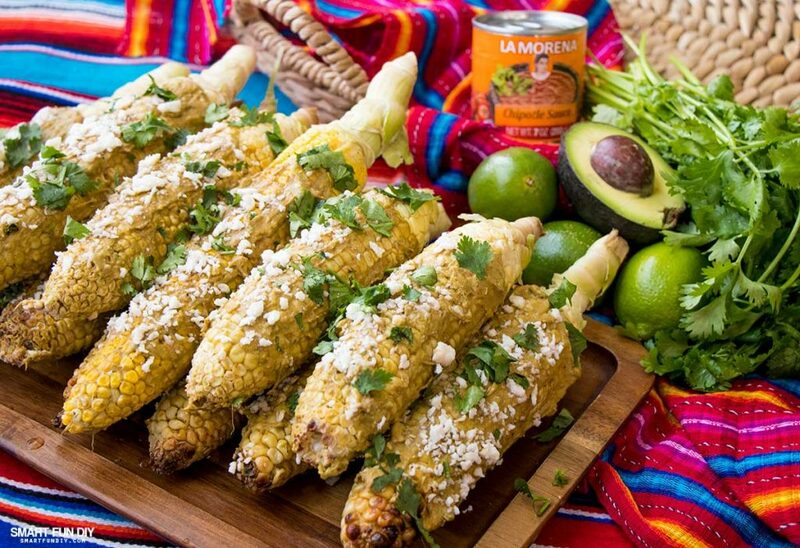 This grilled avocado chipotle elotes recipe features all the things you love about elotes from the smoky grilled corn to the spice of peppers to the tang of lime and cotija cheese but without the mayo. Um, yeah! Growing up, we were the weird Mexican family who didn't like mayo. My dad still won't eat regular mayo … so elotes weren't something I enjoyed until I was older and moved out of the house. Earlier this summer I went to a Korean-Mexican fusion restaurant (OMG, it was so yummy!) and they made elotes without the mayo. And the flavors worked! So when I was telling my husband that I wanted to enjoy elotes at home and I shared about the Korean-Mexican fusion elotes, he had a great idea. 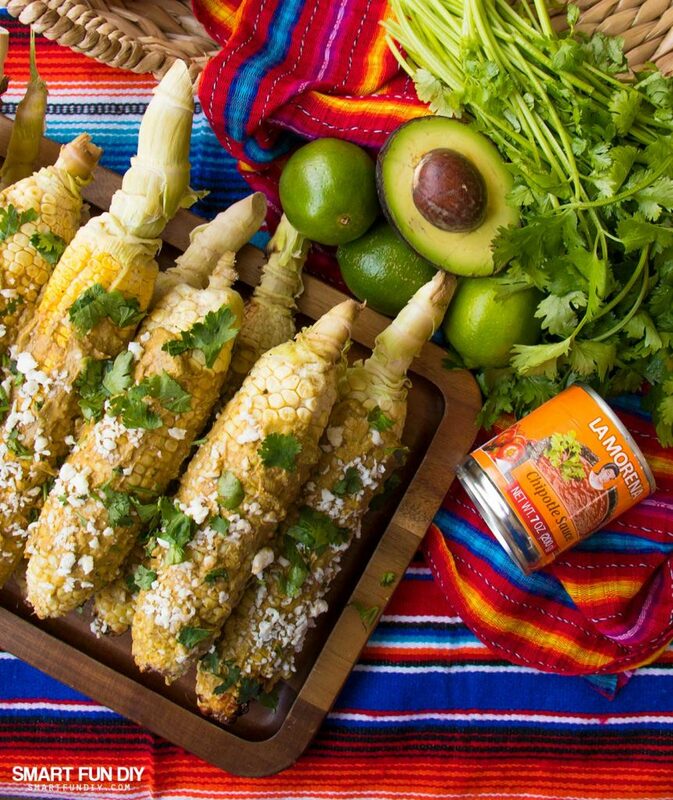 How about using avocados and crema to make a spread for the elotes? 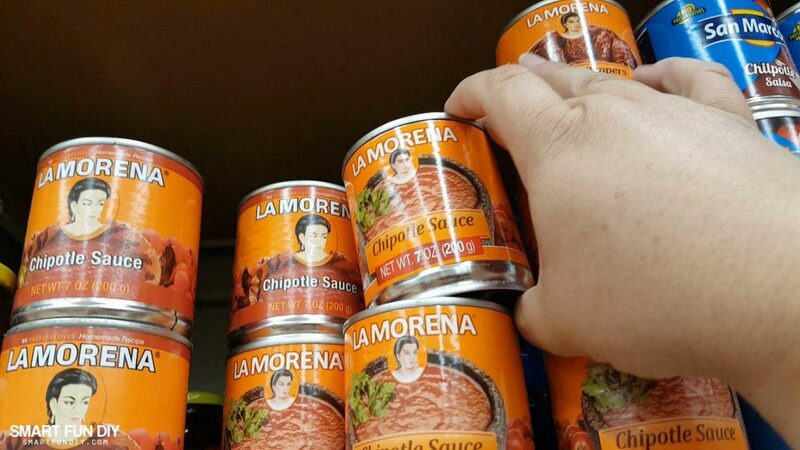 And for the spice, we decided to use LA MORENA® Chipotle Sauce. 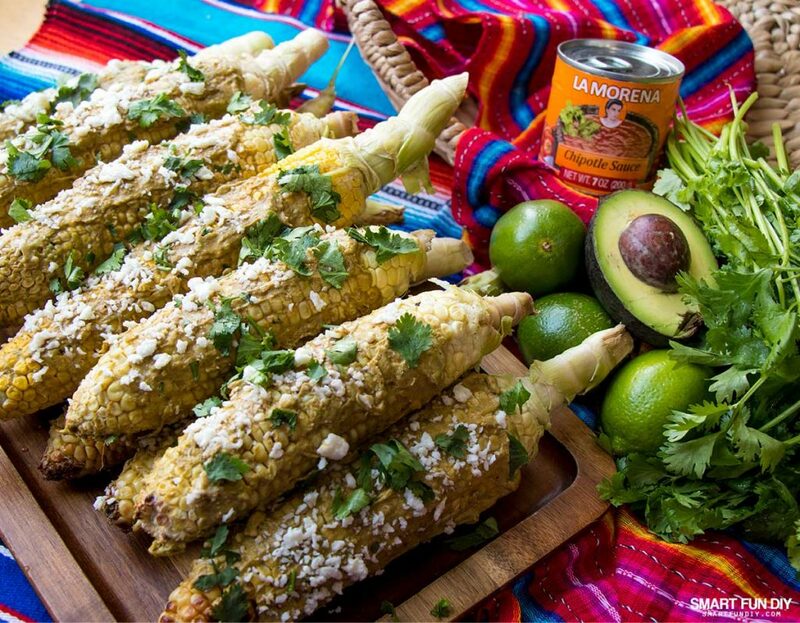 LA MORENA® has been providing the highest quality products made in the style and with the taste of the authentic Mexican home and traditional recipes for over 35 years. 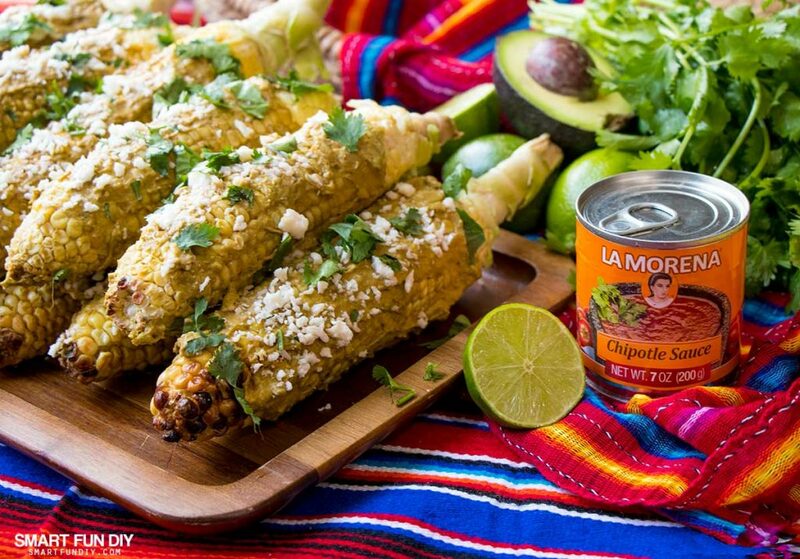 We've used LA MORENA® for years but we're still rediscovering recipes from our roots. 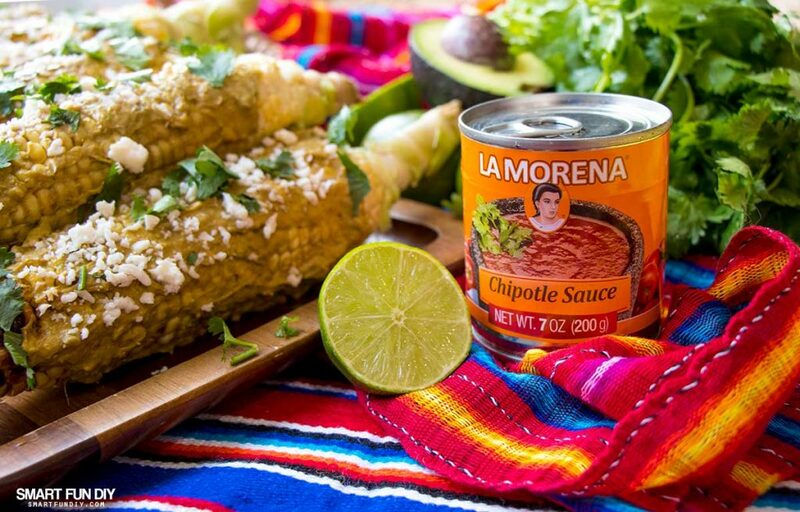 And with our mixed culture family, we're bringing LA MORENA® Chipotle Sauce and other pepper products like LA MORENA® Chipotle Peppers in Adobo (7oz) to favorite dishes like ribs and even chicken wings! 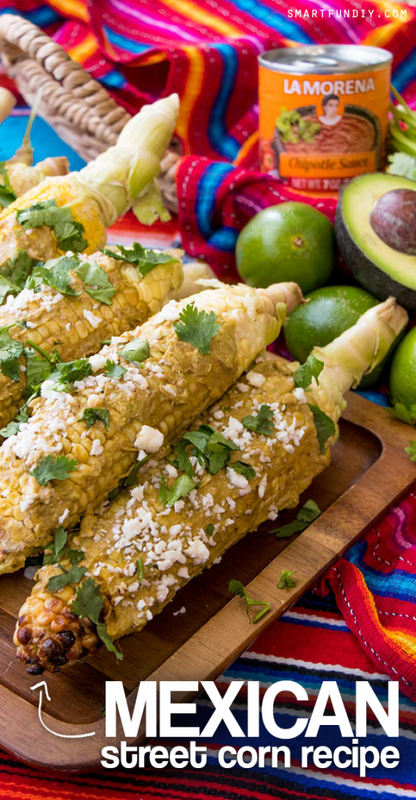 These elotes are easy to make and vegetarian friendly too. Plus, they taste absolutely amazing. And get this; the spread is great on elotes but you can also use it with chips as a dip! First, gather all the ingredients by heading to your local Northgate Market. I always stop at the panaderia inside Northgate to get a pig shaped cookie … it's not necessary for this recipe but how can you resist?! There's no photo because I ate it as soon as I got in the car. Oops. Watch this video to see how to make the sauce plus join me on my shopping trip inside Northgate Market! To get started, you'll need to prepare the corn. Peel away the husks and silk, washing each ear of corn. Be careful to the leave the stalk end intact because this will serve as a handle for eating the elote. 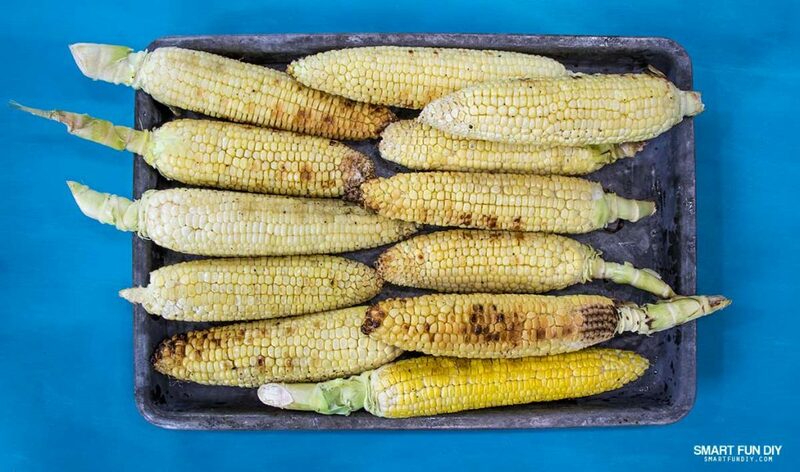 Grill the corn over hot charcoals until browned and warmed through. Add juice from 1/2 a lime and stir. Stir in chipotle sauce (add less if you want a milder taste). Add sour cream and spices. 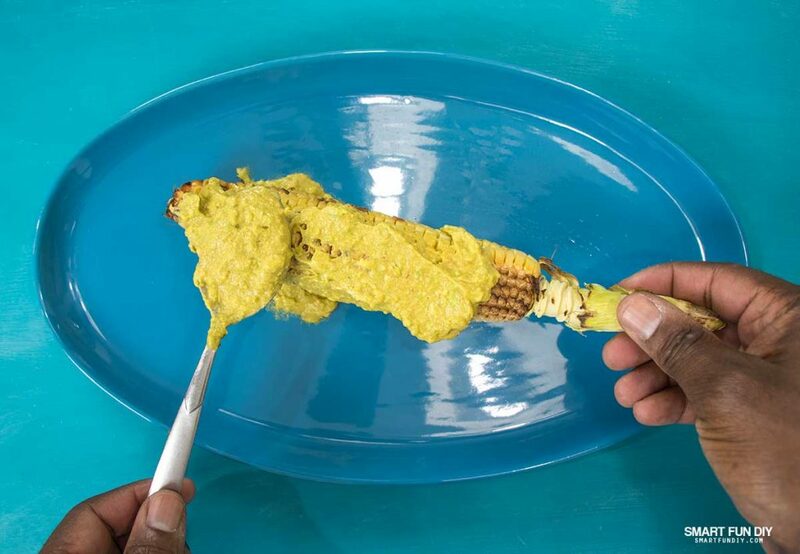 Once you've made the avocado chipotle sauce, it's time to prepare the elotes. 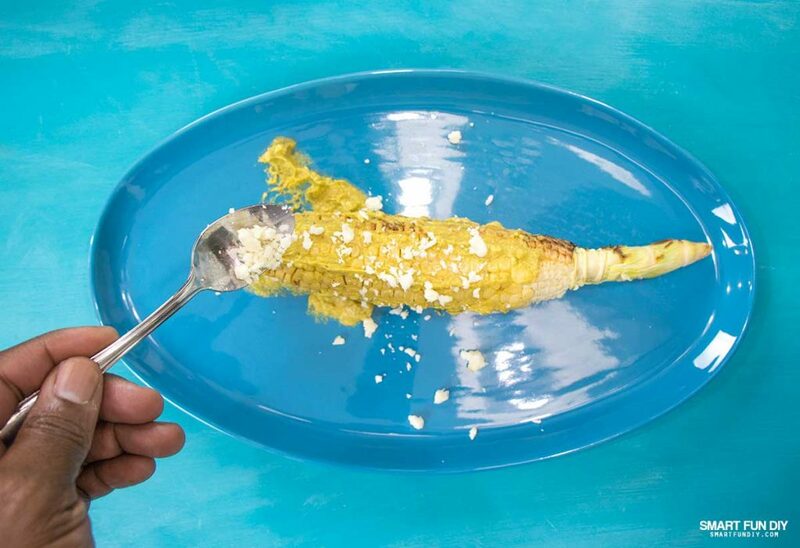 Spread a thin layer of the avocado chipotle sauce on the corn. My husband Xaver did not spread a thin layer on this one … you can make it thick like this if you want and then use a tortilla chip to scoop up the globs that drop off the elote while you eat it. Or just follow the directions and spread a THIN layer of the sauce on *wink wink*. What can I say, the guy likes avocado! 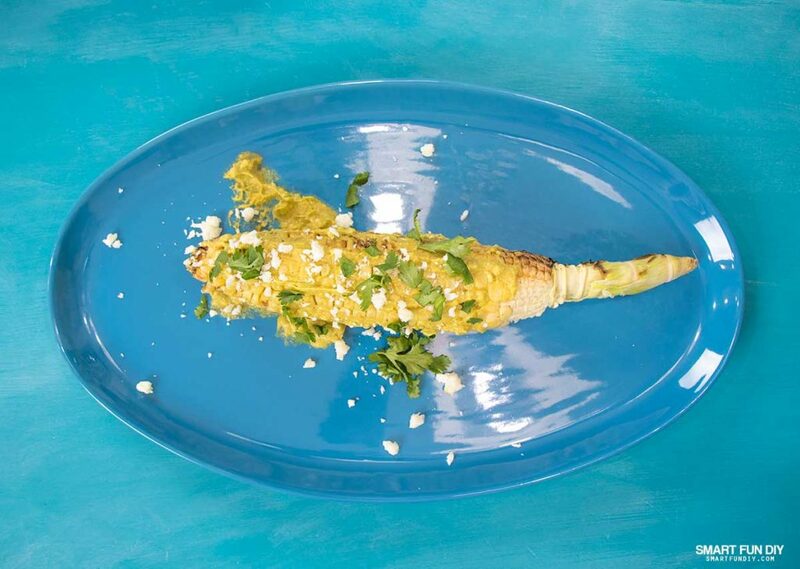 Sprinkle each elote with crumbled cotija cheese. Honestly, I'd prefer these ROLLED in cotija cheese because well, you can never have too much cheese. But, if you're into following directions, then just sprinkle the cheese on like Xaver did here. Finish off with a few cilantro leaves and enjoy! I'm gonna fess up and say that I did eat half of this platter for lunch one day. But corn is a vegetable … and so are chipotle peppers and avocados so this is really like a “salad”, right? What's your favorite way to enjoy elotes? Let me know in the comments section!